Free Performance of The Nutcracker During Lunchtime! On Wednesday, December 10th head to International Place during lunchtime for a free performance of excerpts of Boston Ballet’s renowned ballets, including highlights from The Nutcracker. 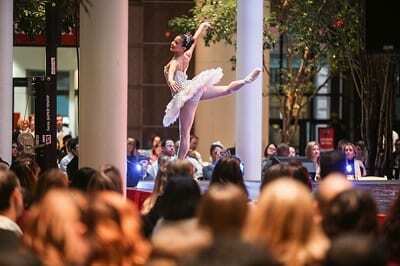 Free Performances from Boston Ballet II will be from 12-1pm and 1-2pm on Wednesday, 12/10/14 in the courtyard of International Place thanks to International Place and The Chiofaro Company. International Place is located at 100 Oliver Street in Boston, MA. Will you be attending this fun holiday event?